This blog is all about Targeted Traffic and Conversions! 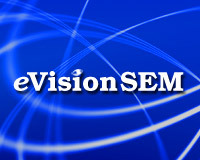 Keep up with the latest eVision Online Marketing Blog news via our RSS feed. Lead Gen Service Vs. Search Engine PPC Ads – Which Offers More for Your Money? An Entire Business Park in Texas Made with 120 Shipping Containers! Display Advertising vs. Search Advertising: Which Method Delivers a Better ROI? We recommend testing them weekly (especially if you are running PPC ads!). Forms should be tested to make sure that not only are they working on the website, but that you are receiving the data. It is also important to create an inventory of all the forms on your site to make sure you are not missing anything in your weekly test. It is best that forms are sent to at least one email address and have the submission data stored on the web server where you can access it. If the submission data cannot be stored on the web server, we suggest the form email data to at least two email addresses, one that is not a domain address in case there is a periodic problem with the server. It is a good idea to periodically check to make sure that the number of forms you have received is reasonably in sync with what Google is reporting in Analytics if you are tracking form submissions (and you should be).